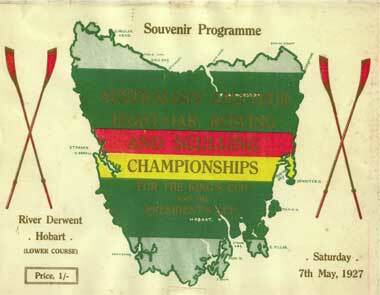 The TAS & QLD eights were swamped in very difficult conditions. 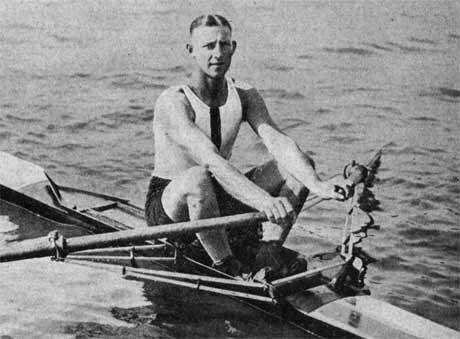 The Victorian and South Australian crew were also swamped but shortly after the race. The WA crew was heartily congratulated on their meritorious victory by two lengths to the NSW crew. The Victorian Rowing Association Annual Report heartily congratulated "the promising young sculler Mr R Pearce" on his victory. The next year he was to become Olympic Champion. Unlike the men's races, the weather for the women's races was superb. The strong South Australian crew won easily to make it four wins in a row.